I know I am certainly not alone on this parenting journey who has a young child that struggles with anxiety. Fortunately through my work of conscious parenting over the past few years, I have learned (and much through my own mistakes) how to help guide and coach my 5 and a half year old daughter through her many bouts of anxiety. They arise at many different times and there is typically “no warning.” Prior to recognizing her struggles, I would often react (sometimes over-react) to her anxiety (with my own) which inevitably only worsened the emotions and circumstances for both of us. Over the years, I have taken the liberty to further educate and empower myself on the subject of anxiety (a couple great resources include: You and Your Anxious Child and The Opposite of Worry) because it can be such a complex beast yet we can overcome it through the way in which we approach it. 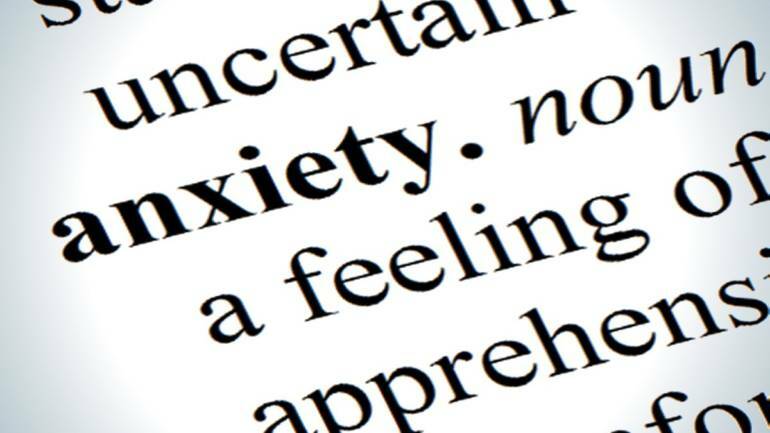 Essentially a certain amount of anxiety is healthy and warranted as a survival trait within us. It helps to protect us and keep us safe in places of danger. It warns us not to touch a hot stove or run in front of a car or to keep caution when walking through a dark alley to name a few. However, it is when the anxiety swings so far to the other side of the pendulum that it is no longer balanced and overtakes our minds and becomes in control. It creates continuous worry, panic and fear that it inhibits us from living a healthy and productive life. Many people have differing opinions on whether or not anxiety is purely genetic-based or not. My findings is that while genetics plays a role it is also highly driven through our environment, stimulation and fear that comes from it, and in many cases with children something that arises through underdeveloped brain imbalances – stemming in the womb and through birth (traumas) that may happen. The way in which they enter their environment from birth can set the stage for much of their behavioral struggles. My daughter was born 4-weeks early and prior to I had been in the hospital up to three different times due to partial previa complications. She ended up being delivered (c-section) and a whole day before she was even “scheduled” to arrive. Within seconds of her arrival, I never got to hold or touch her for over 24 hours, as they whisked her away to the NICU (due to breathing complications) for 9 days where she had a c-pap placed on her face, along with bright stimulating lights, yellow light (for her jaundice) and constant interruptions during her sleep to be monitored. This was her environment – pretty atypical from what we envision for our child – yet on the contrary almost too common and frequent for so many babies anymore. Her fight or flight mode was kicking in high gear right from the beginning and through her development stages (where her brain did not evenly develop in its proper timing), that part of her brain (primitive reflex) has stayed on alert (amongst many other primitive reflexes that have been retained) – hence causing many of the emotional / social struggles over the course of her five short years of life. Since recognizing many atypical concerns with our daughter (which began around the age of 17 months) we have taken many roads to seeking help and support from going to a Child Neuro-psychologist and Child Psychiatrist to both Occupational and Physical Therapy. While they all played an integral role we were not getting much farther on the path of helping her. But it was up until recent (this past March) when I did a blog around the truths on my conscious parenting journey, that another conscious parenting mom reached out to vulnerably share that much of what I shared around my daughter’s struggles – sounded a lot like her own child’s challenges. She offered me some wonderful insight around Primitive Reflexes and in doing my further research I chanced upon an incredible holistic program called Brain Balance where we have found the precise help our daughter (and family) was searching for to properly stimulate her right brain imbalances (social / emotional weaknesses) and provide her with a life-long thriving life that she deserves. We have enrolled her in a 6-month program and she has just completed her 4-month mark. Our daughter has embraced the program almost intuitively (with many peaks and valleys along the way as the brain emerges and strengthens the connections between both hemispheres) yet understanding that it all comes with her brain maturing and balancing out / developing as it should. Although she is working through many of her anxiety and sensory processing matters daily (with so much greater success since the start of Brain Balance) it is with much more ease and transition. Every step she is taking – even if she struggles through it – is a win towards greater progress for her and ability to thrive and flourish as she deserves. To learn more about Brain Balance you can read Dr. Robert Melillo’s book Disconnected Kids amongst many other related books to his work around neurology and understanding it more intricately. In addition to what I have shared, here are some key tips that I have applied in my own conscious parenting path (through the brilliant teachings of Dr. Shefali from her books The Conscious Parent, Out of Control and her latest The Awakened Family) with my daughter and have found to be very helpful when we face the “face of anxiety”. My hope in putting this together is to help any other parents and children who are facing these challenges and working in a collaborative effort that overrides the intensity and chaos that anxiety brings with calm, connection and compassion. Attune to your child – Anxiety shows up differently for every child. For some it comes through biting their nails or getting an upset stomach and for others it may be through outbursts / tantrums or retreating by themselves. As we attune to our children on a moment-to-moment / daily basis, we begin to see and know what their triggers and patterns are and when they are more likely to be reactive to something that would otherwise not require an excessive behavior-type. Pay close attention to when those patterns arise – for they are the key in helping to navigate your child through their anxiety (and preparing them in advance) when possible by helping them ease and transition into next phases or stages. If you know your child is sensitive to loud noises, you can let them know (or remind them) before you enter that situation by saying “it may be really loud in here so you might want to cover your ears a bit,” or “if you start to feel scared or uneasy remember, I am here for you just let me know.” Trust your own intuition so you can help steward and attune to your child from a clear space inside. Assess the situation – Observe closely as to what is causing your child’s anxiety and when is it happening? Maybe when you leave them at school, get ready for bedtime, take a bath or shower, go to a location that has loud noises, when you are around pets or even driving. What may be or feel normal to us is not the case for a child with anxiety. All of their sensory elements are heightened and go into “fight or flight mode”. Their brain is not communicating evenly between the two hemispheres and alerting them of false danger. For my daughter in particular, she has GAD (General Anxiety Disorder) and some of her most recent anxieties were around flies, bees, bloody noses, toilets flooding and throwing up. They can shift to other things but these were major ones that took much of her attention and zapping her precious energy. Being aware and knowing this, we are able to help her through these fears / worries while being very mindful of our own approach and energy we are bringing forward so we don’t indirectly add to hers further. Brain Balance has been instrumental in helping to even out her fight / flight mode over the past months. Connect with your child in that moment – Sit with child and create and hold the space and place for them to be without extra stimulation or noise. Let them know you are there for them and reassure them that they are safe and that you are there – hold their hand and express compassion. Listen and listen more. When a child is in their anxiety there is already so much noise on their minds so use your connection time once they have calmed down a bit to ask them what do you need from me right now – how can I help you? Empower them to share and vocalize their needs all while staying compassionate and understanding to their present feeling reality. Here is a live Facebook video I did just recently that shares further around a major tantrum our daughter experienced in public (due to high stimulation) and how I held the container / space for her to get back to calm and rational thinking. Follow their lead and empower them – You can offer 3 choices to help deflect their attention from their anxiety to showing them they have the power and control to “take back” their thoughts in a positive way. 1) Ask if they want to go for a walk, 2) if they want a cup of water or 3) if they just sit and breathe together. This helps to reduce the reactive emotions and bring calm response – openness to listen to you. In this live Facebook video I shared what the W.A.T.E.R. cure to help your child get through their meltdown. Educate them around their fears and anxieties – Let them know that what they are feeling is real to them and how anxiety wants to be in control so it will trick their minds to believe what they are thinking is true. Role-playing is a great way to teach your child on how they have an active part in whether or not they want their anxiety to have the “lead role”. So say your child is struggling with separation anxiety at school or in general (which my daughter when through this for many weeks last year – you can read more about it here) you can set up a school scenario at home with your child and their “dolls” let’s say. They can be the teacher and one of the dolls can be them. You can help orchestrate the conversation as if you were them (the doll) to the teacher (your child). Through your guidance and their natural ability, they will want to soothe that child (the doll) to feel better and re-enact points of communication in which you may have already shared with them through past practice. If it is easier you can start with you being the teacher so you can teach them further of feeling safe and trusting that all is going to be fine. Ultimately, let them know (by showing them through example) that they have the power and choice to think differently. Don’t engage or enable the fear – To know anxiety is to recognize that it wants full control and power over ones thoughts. It is an uninvited “pesty” guest that needs to understand the boundaries and limits. So when your child is caught up in the repeating cyclical pattern of their fear/anxiety, you want to be the anecdote and not further engage or battle with it. This is where having strong inner boundaries yourself is key because otherwise the anxiety will attempt to take over you as it is your child. For instance with my daughter, when she gets anxious at school (over something innocuous – like flies in the room or a fear of getting a bloody nose), she will want the teacher to call me to come pick her up. Knowing nothing harmful is happening, I communicate with her teacher to get a full understanding of the picture and then assess with presence and inner clarity that I cannot go and “rescue” her and give more into the anxiety of a fly in the classroom as that will just validate her anxiety even more. Allowing her to work through it (with proper care and guidance of her teacher), she learns to change her thoughts and rise above it and goes about her day. It’s not always a quick easy transition however it gets easier with each episode. I always acknowledge and praise her for her strength, courage and bravery – reminding her that she has the power to throw away any and all thoughts that are not serving her in the best way. If you or your child struggle with anxiety, reach out and set up a coaching session with me. I will help guide you through the process (hand in hand) so you don’t have to feel a prisoner to it any longer or witness your child in their own fight or flight mode. Dear Mary, thank you so very much for your post and sharing! I will most definitely look further into this program if not for our family, but for others in which I guide as a conscious parent / life coach. So glad to know my talk was supportive to your journey and thank you for your kind words and joining so many on this transformative journey!